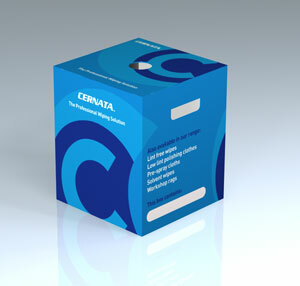 CERNATA™ Hydro wipes are a premium multi-funtional wiping product. Its high tensile strength means it will not shed fibre, tear or rip during use. Precision non woven fabric provides a clean and lint free wiping surface. This quality lint free cloth has a high surface softness that wont scratch plexiglas and is very supple. Extremely low extractables,metallic ions and particle generation. Exceptiional for Aerospace, auto refinish, pharmacutical manufacturing, electronic, print, precision engineering & medical facilities. Available in white and turquoise versions - 68gsm for Precision cleaning and 85gsm for heavy industrial cleaning.